Daniel had met Leticia at an event and they had kicked off from there, they became best of friends and they would always spend time together every day. Leticia saw Daniel as a confidant and she always enjoyed talking to him, in three months they got to know everything about each other. Over time Leticia started seeing him as a brother and without Daniel noticing she stylishly relegated him to the brother zone but there was just one problem Daniel wanted more but what could he do, he accepted his fate that he has been zoned by the lady he has grown to love passionately. I really need to talk particularly about this zone; this particular zone level is common among university students and graduates. I’m yet to understand you are in 400 level and you are busy forming spiritual father for a lady you want to go out with, the wife you should marry you are there calling her daughter, the girl has a built a trust relationship around you so much that she dumps all her relationship problems at your feet and then you automatically assume the post of an assistant holy spirit and you are there burning inside even God is just watching you. 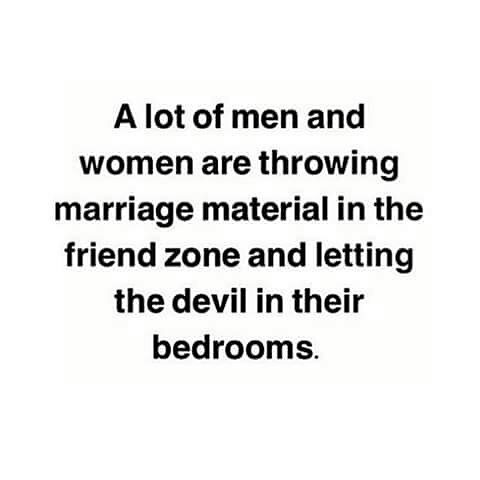 I’m very scared of this zone, the day you start acting as if you are her father the lady starts to pattern her life and thinking system to see you as a father figure. 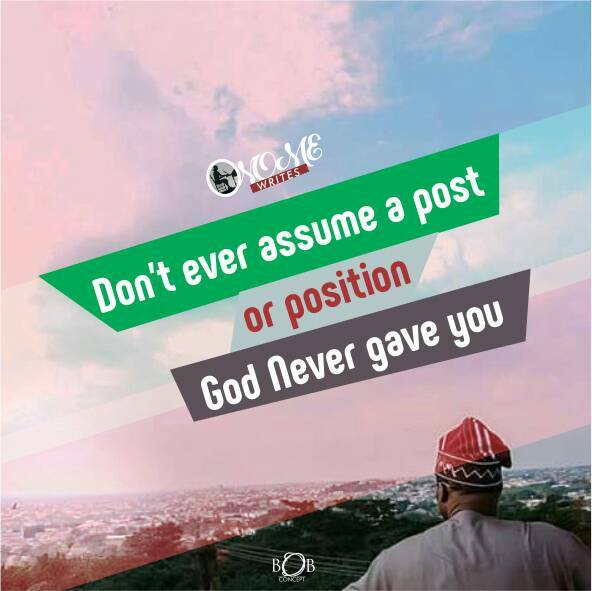 Brothers, don’t assume a post God did not put you, don’t take a job you were not employed to do. Stop choking a lady and acting as if you her father all in the name of trying to help her, as much as she needs your help be wise about it. Before you zone him/her wait! A lot of people have been so quick to make decisions they end up regretting, before you zone a person off be very sensitive and be very sure because over time you get to see their potentials and then you want to reconsider so I implore you to be patient before you throw that guy or lady in a zone. Time is a revealer of things before you make a hasty decision be patient. I learnt a lesson some years back about zoning people, the guy you think does not have potentials or that lady you think is not smart enough you might be surprised to see them months or years later looking so different because everybody has great potentials some just find theirs before others. 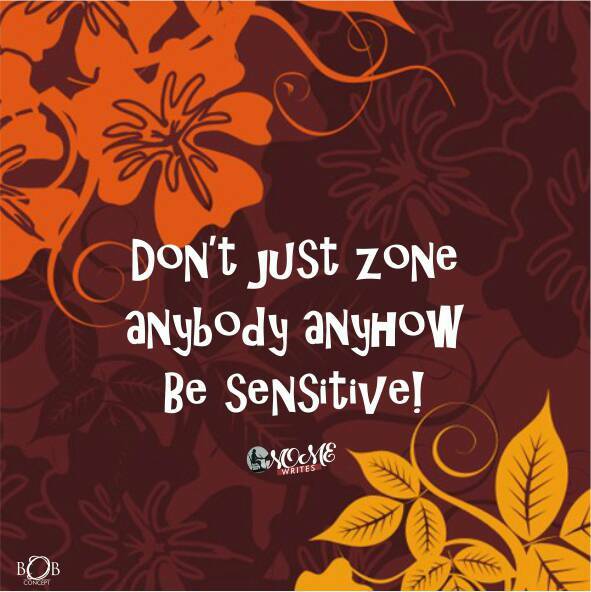 You really need to be sensitive because a lot of times your emotions can fail you so never use your emotions as a yard stick to zoning anybody off. I understand that when you meet a person you want to be a friend so as to get to know them but the mistake a large number of us make is that we assume a position of authority while trying to be friends, be simple and keep your heart open, the way you relate with him or her goes a long way. The secret to not being zoned is this: be wise and smart in your relationships when a lady starts calling you “brother” stylishly reject it that is if you have the intentions to go out with her, don’t be comfortable with titles that are not yours especially when she calls you “best friend” stylishly let her know you have intentions so that you get zoned. There is always a solution to every problem, if you have been zoned then it’s not time to panic and accept fate take a bold step and make your intentions known. 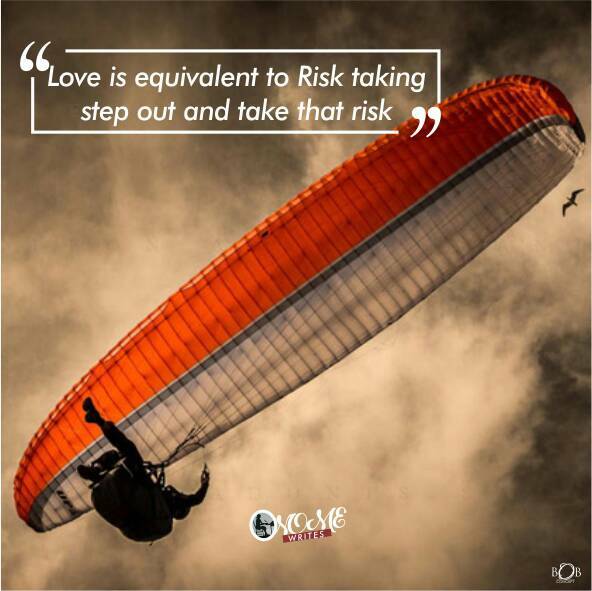 Love itself is a risk and you must be willing to take that risk. I have seen guys who have been in a box and they gladly came out of it but you have to be willing to take that risk, I know a lot of you are scared of the relationship tearing apart but until you try you will never know, I’m sure you read Banky W and Adesua’s love story she has successfully zoned him but he tried getting out by making his intentions known, it’s never late to make your intentions known I implore you to take that risk it’s always worth it at the end of the day. Yayyyyyy!!!! Been waiting for another post since like forever. Please when should I expect another one? Great one by the way pumpkin ??? You know I love you already. You made this happen maybe you should do more encouraging!!!! Alot of guys and ladies need to read this. Great! Keep it up sister. Love what you do. We are both radio girls what station? May God increase you continually in wisdom, knowledge and understanding.